The days are growing shorter and the air and daylight are quite autumnal. We held an autumn cheese lunch gathering and enjoyed seasonal dishes with cheese. Attendees were all Japanese women, so it got to be pumpkin based! In Japan, they say “sweet potatos, chestnuts and pumpkins for girls in autumn”, and it is very true that Japanese women all love these three autumnal earthy flavours and dense textures. 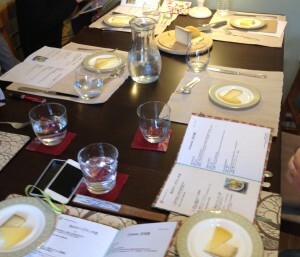 We started with two different types of English cheese, Spenwood and Wyfe of Bath. We explored the differences and similarities between these two cheeses to learn about ewe’s milk and cow’s milk. Then, we enjoyed a pumpkin based dish consisting of pumpkin,a mixture of three types of mushrooms that Japanese people particulary crave (Eryngi, Oyster and Shimeji) and cheese cream. 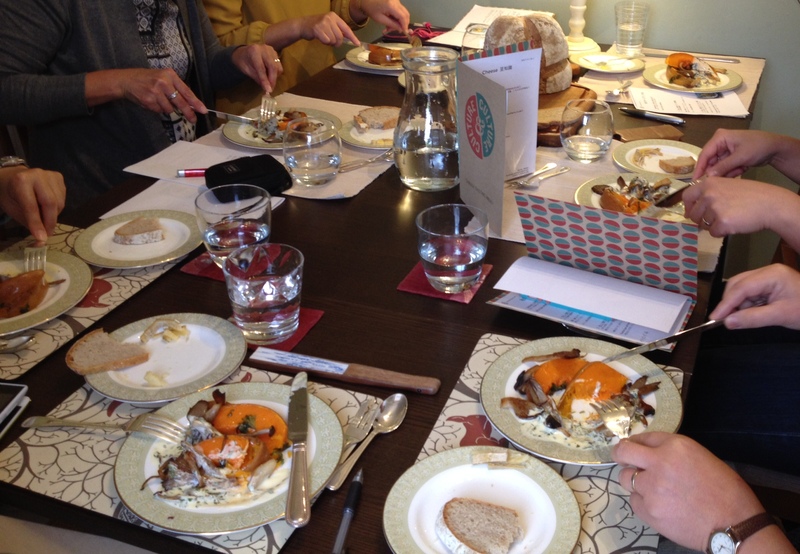 Pumpkin, mushrooms, cheese, cream and a handful of tangy herbs harmonise really well together and are full of autumnal nutrition to get ready for the dark, cold winter. We finished the lunch with poached pear with Shropshire Blue. Getting Ready for Summer Party!